Whether you buy new or used, from us or from somewhere else, the ALL Aerials maintenance and repair department is ready to serve your fleet. That’s right, we will service your fleet, even if you didn’t buy it from us. And when it comes to service, even our competitors become loyal customers. Our skilled, factory- trained technicians have decades of experience maintaining our own fleet, which includes reliable older models as well as those with the latest technology. We know first-hand how frustrating repairs can be and are committed to avoiding downtime with your unit. 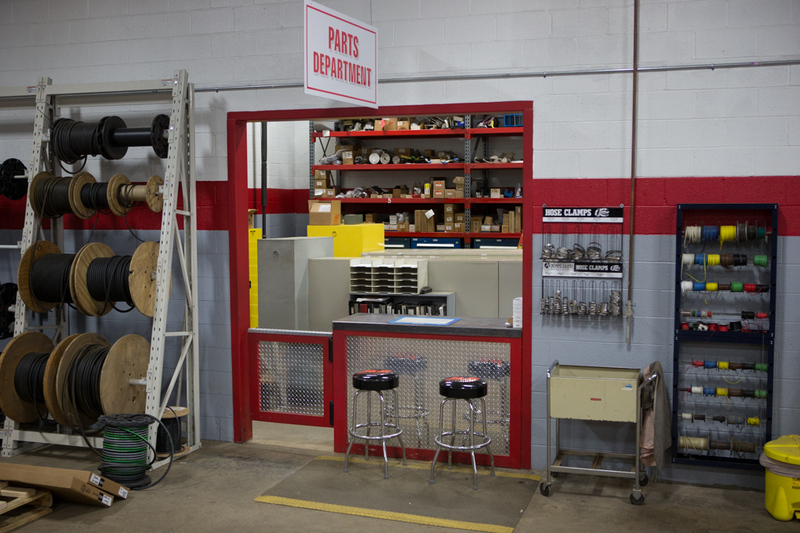 We provide repairs, regular service, and preventative maintenance to keep your equipment in top condition – from diagnosing standard issues, to troubleshooting even the most challenging mechanical problems. Sometimes it's just not feasible for you to bring your equipment in to our facilities. 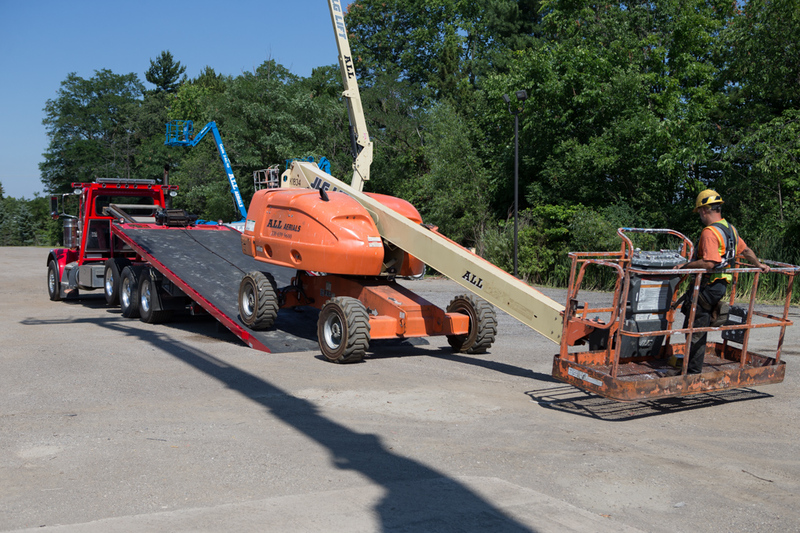 Our mechanics and technicians have a fleet of service trucks so they can come to you and perform jobsite repairs, or pick up and transport your lift to our shop. We even offer emergency services, which means we’re available 24 hours a day, seven days a week, WHENEVER and WHEREVER you need us most. ALL Aerials has a huge parts reserve on hand because it’s a member of the ALL Family of Companies. 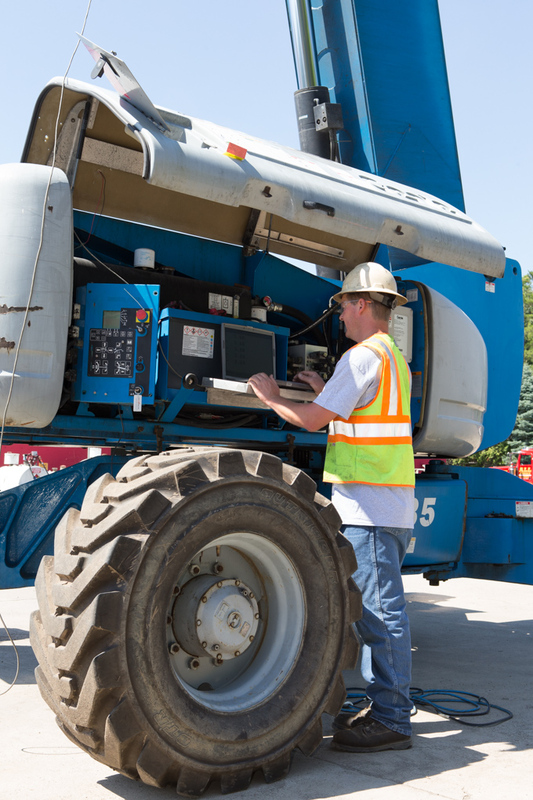 This comprehensive inventory helps customers avoid downtime, and keeps equipment operating at full capacity sooner, and for longer. If we don’t have it here, we can pull parts from equipment in the ALL Family fleet to meet your emergency needs. In addition, every ALL facility is equipped with a fleet of service trucks, fully prepared to get you what you need on the jobsite. As a dealer for a wide range of equipment brands, we get new parts direct from the factory, faster and for less. Our ability to directly source new parts allows for faster turnaround times, resulting in increased productivity for you. • On Your Own | Search our parts listings. Please note, it is always changing. • We’ll find parts for you | Don’t see what you need, or simply want us to do the legwork for you? We don’t mind! Contact us.